Hair Swirls are so easy to use and so Elegant to wear. Just twist them into your hair and right back out again. They will look like they are floating in your hair. These dazzling hair swirls are perfect for Prom Updos, Bridal Parties, Ballroom Dancers, Twirlers, and Skaters! 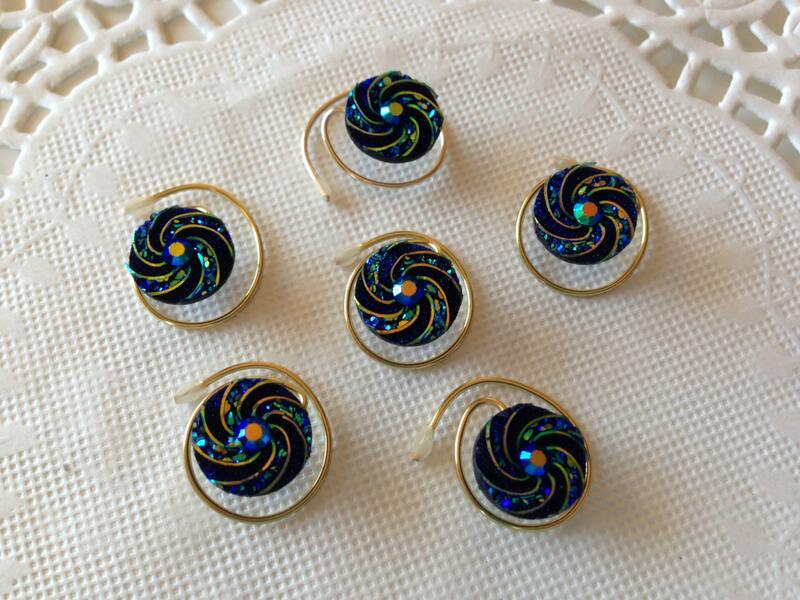 Beautiful Round pinwheel Hair Swirls in sparkling aurora borealis rhinestones with gold accents. 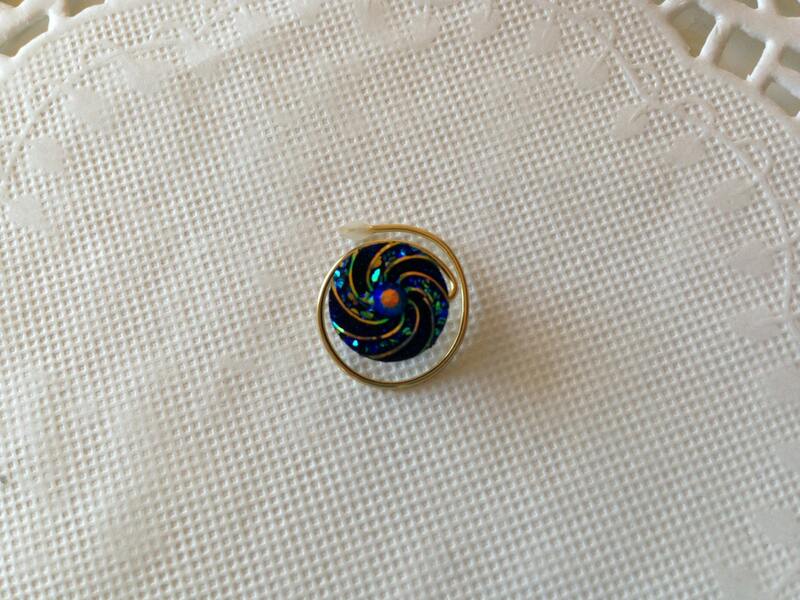 An AB finish gives a rainbow glow to the round pinwheel bead when light hits them. 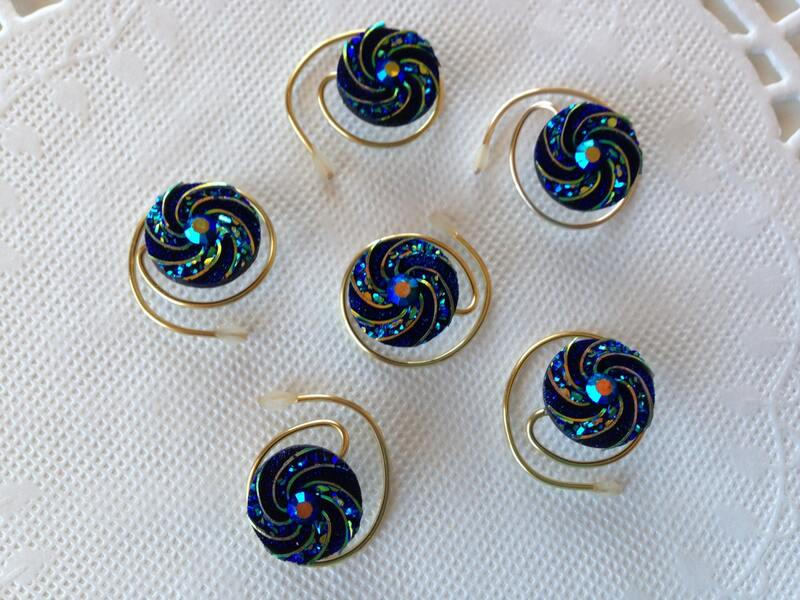 Each pinwheel is about 15mm in size. These come in a set of six and are so easy to use. Just twist into your hair until only the ornament is showing. They will look like they are floating in your hair. No bobby pin showing! Twist in the opposite direction to take them out. 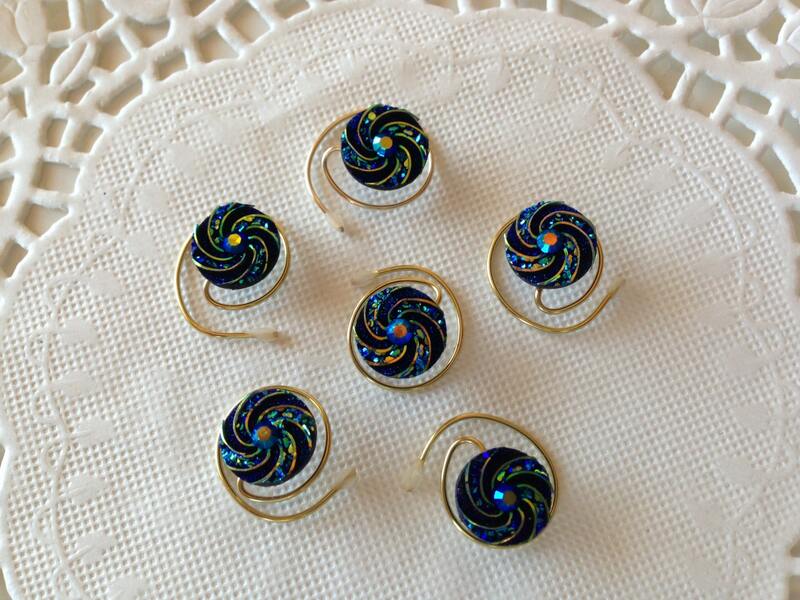 These kaleidoscope like pinwheels will be dazzling in your hair. I guarantee it or your money back. They are the perfect thing for your prom, pageant, wedding or skating competition. Wonderful for ballerinas, ballroom dancers, majorettes, and gymnasts. If you need more than one set just convo me and I will list more for you.